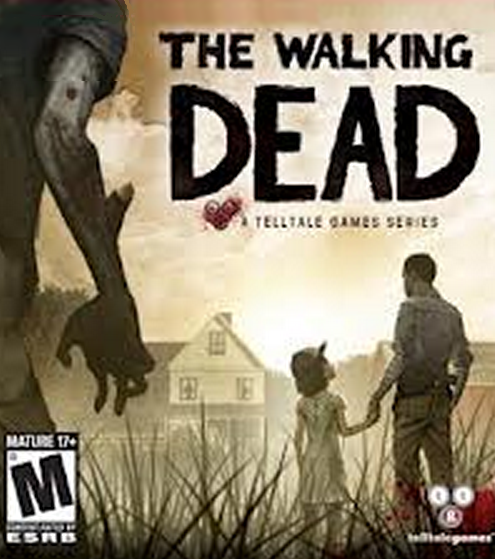 Telltale Games made an agreement to make games based on Robert Kirkman's The Walking Dead comics. The first episodic season in The Walking Dead series is a casual adventure game with elements of the quick time action found in Jurassic Park. In addition, The Walking Dead has a new gameplay element consisting of choices that affect the way the characters treat the main character, Lee, as well as the lives around him. The game follows a convicted murderer named Lee who is freed from captivity during the beginning of a zombie apocolypse. He befriends a young girl, and joins a group of survivors. Your choices reflect how Lee treats the people around him, and in return how they treat him (as well as sometimes choosing who survives, although the latter doesn't happen often this season). The episodic series consists of five episodes. The first episode was released in April 2012. The other four episodes were released in the following months. In a first for Telltale, there is an additional downloadable episode, 400 Days, available for this season. A convicted murderer helps a young girl, and they meet other survivors of the zombie apocolypse. After three months of being barricaded in against zombies, food runs out. The survivors continue struggling to survive while fighting back zombies. The surviving members of the group continue their quest to survive. The saga of Lee and Clementine's struggle to survive against zombies concludes. A single episode tells five stories of five survivors that bridges the gap between season one and season two.